Welcome, Prospective Students, Parents, Bubbe’s and Zayde’s!! 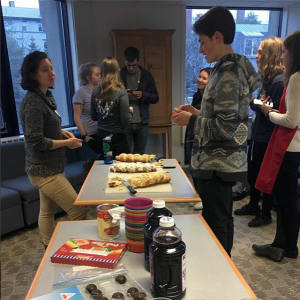 Middlebury is the ideal College experience for the student who’s most religious experience is eating challah to the more observant Jew. 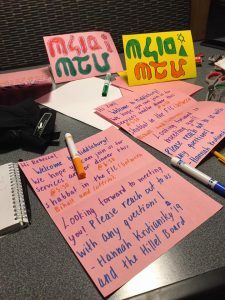 Jewish life is what each individual brings to Hillel, with support from our rabbi, Danielle Stillman, and the Scott Center staff. We are excited to meet you and answer your questions! Visiting Middlebury? 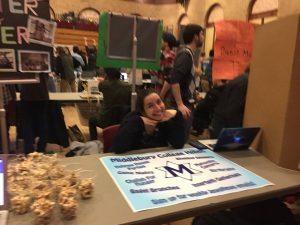 Interested in talking to or staying with a Jewish student? Contact our Outreach Chair to arrange a host! Please feel free to give us information about your interests so we can find a host with similar to you! The Scott Center for Spiritual and Religious Life offers a warm and fun environment. Check out their video featuring our former Hillel president and meals chair!